Carrol Shelby was a successful racing driver from Texas. In 1959, he won the 24 Hours of Le Mans driving an Aston Martin DBR1 with Roy Salvadory. When a few years later, he had to stop driving as a pilot for health reason he decided to prepare his own car. He decided for an hybrid solution using a European chassis with an American engine. 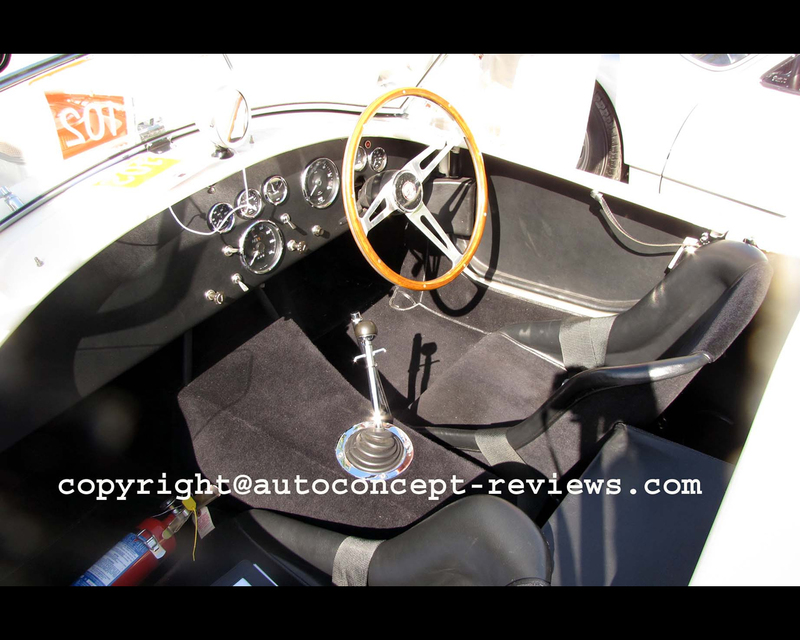 He concluded a contract with A.C. from England to adjust the ACE roadster chassis for a Ford V8 engine. The Cobra 289 emerged. 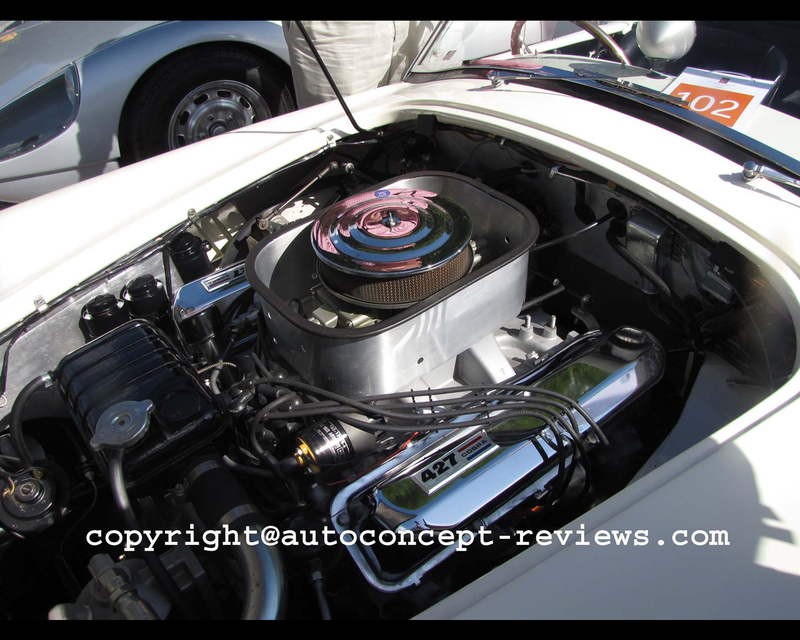 The car was a success and finished in 1965 the FIA World Championship in its GT caregory over 3000 cc. That is when he decided to upgrade the car by using a large 7 Litres capacity (427 cubic inches) V8. Two prototypes were prepared by Ken Miles using the existing chassis. The first was driven by Ken Miles as a development purpose at the Sebring 12 Hours. The car did not finish due to mechanical problems. A second prototype with adjusted body elements was entered at the Nassau Speed week. As Carrol Shelby was under contract with Ford, he decided to upgrade the chassis using computer aided technology. A slightly larger chassis with thicker tubes and independant suspensions using coil spring and damper units was developed at A.C. Cars Limited in England. 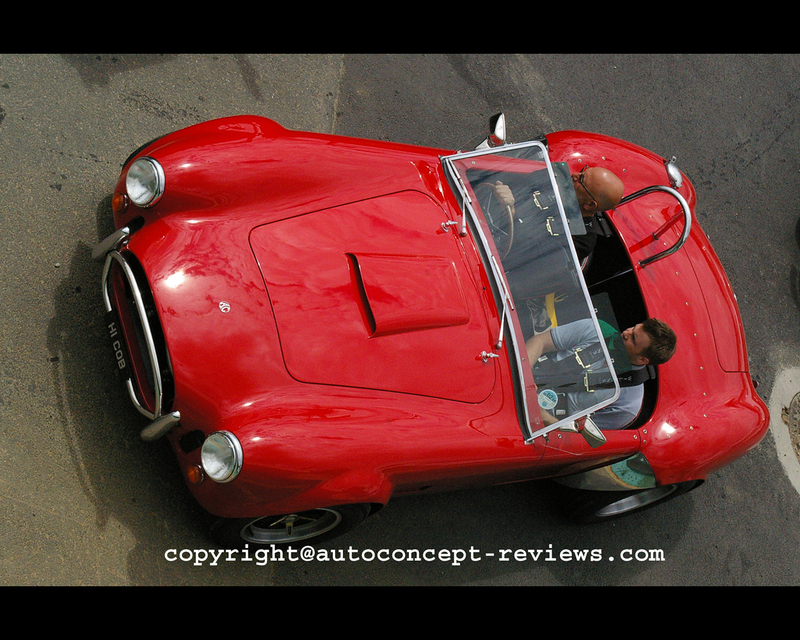 The roadster body was adjusted while keeping the original roadster style. 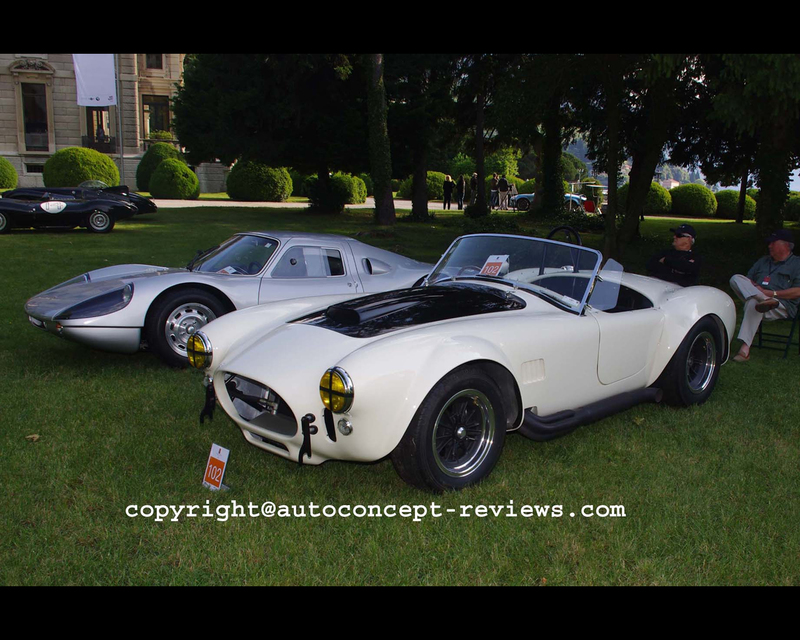 The new Cobra 427 seemed little changed from its predecessor but when parked alongside the original Cobra, the differences were substantial. The Street version had an engine modified by Shelby American to produce 390 hp at 5200 rpm and 475 ft/lbs at 3700 rpm. Disc brakes were used on all wheels. The Competition version produced higher output with '-barrel Holley carburettor, aluminium cylinder heads and aluminium intake manifolds. It was planned to produce at least 100 cars the first year for an homologation in FIA GT category. 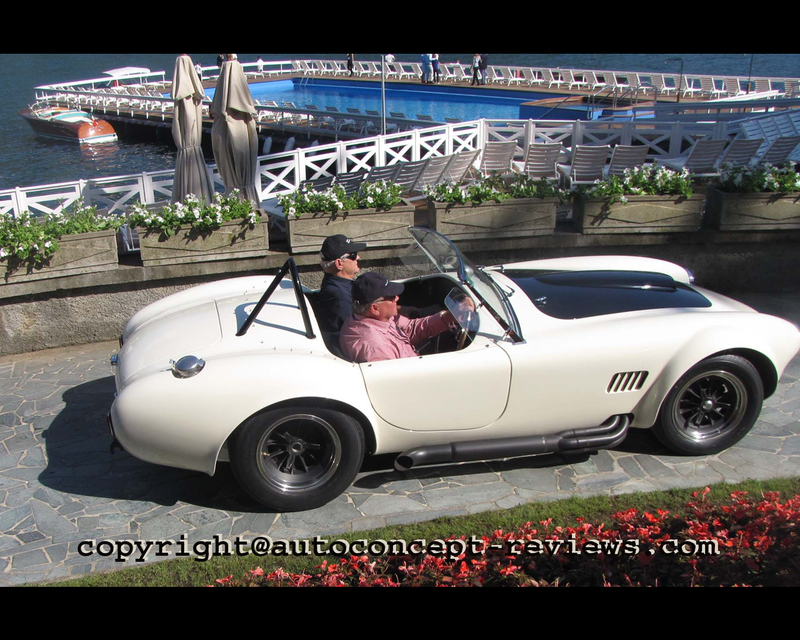 But the FIA homologation was not granted and the Shelby American AC Cobra 427 made most of its racing career in North America. Some version were designated 427 S/C for "Sport/Competition" allowing a dual use between the street and the track. 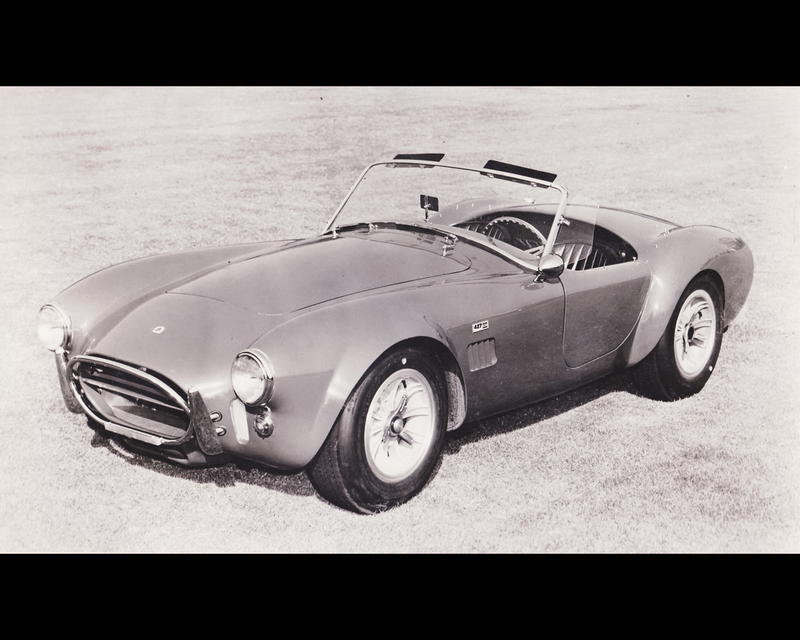 Ford could not allow further development of the Cobra 427 as Carrol Shelby was under contract to race the Ford GT40 and GT MkII in international competition. Shelby American started development of the Mustang GT350 also in street and competition versions. In 1965, 51 of the 427 were manufactured with 19 of them competition version. 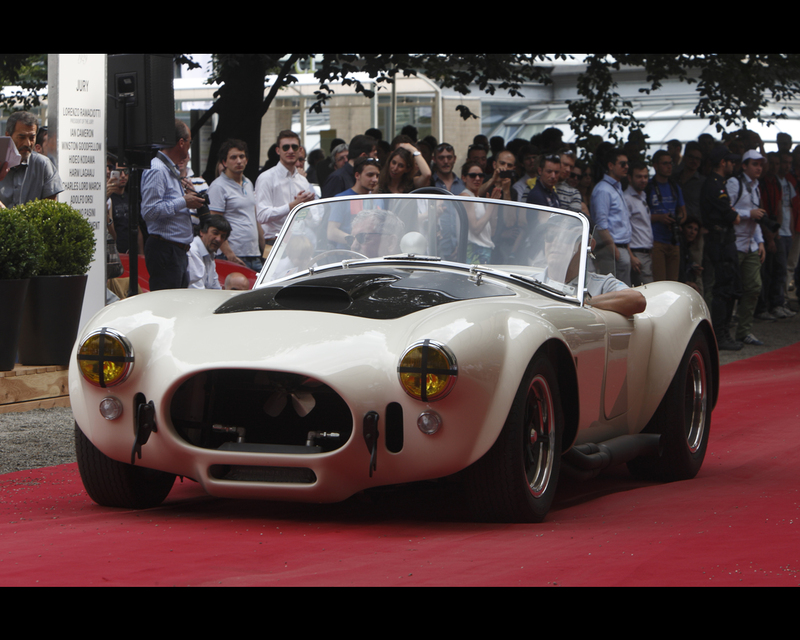 In total the production of the Shelby American Cobra 427 amounts for about 348 units all versions included. 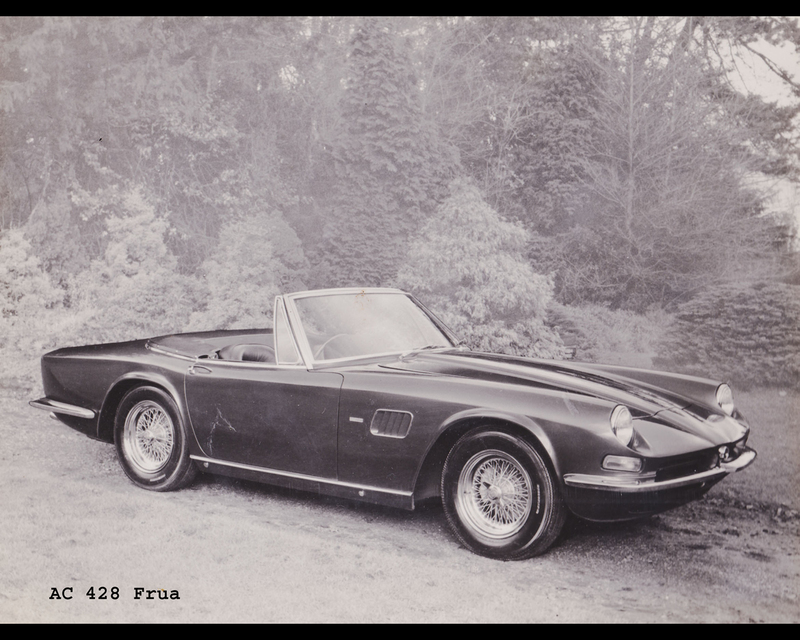 A.C. Cars Limited developed its own version, the AC 428, with coachwork by Frua and proposed in roadster or coupe. 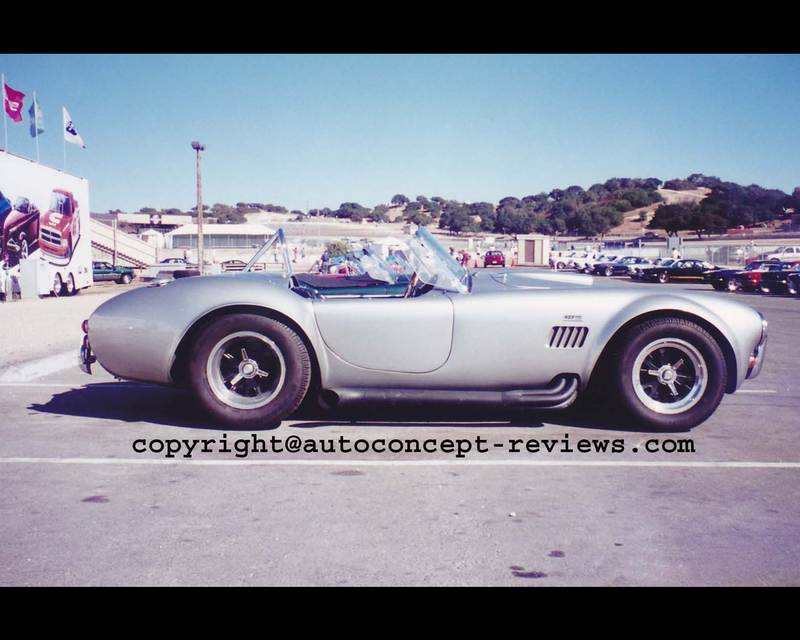 On January 25th 1965, Shelby American supplied the 427 Competition Cobra 427 with chassis number CSX3006 to William G. Freeman from Muncie, Indiana, USA for 9600 dollars. 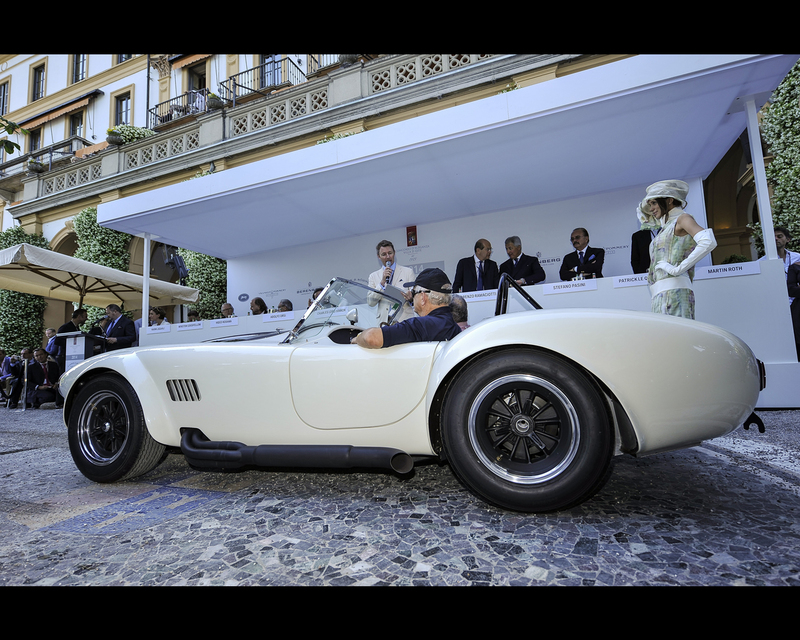 In 1965, Freeman took the Cobra to Europe, where it was purchased by a Flight Lieutenant in the Air Force, sold on to Chequerd Flag in London in 1966, where it was adjusted to right-hand drive. 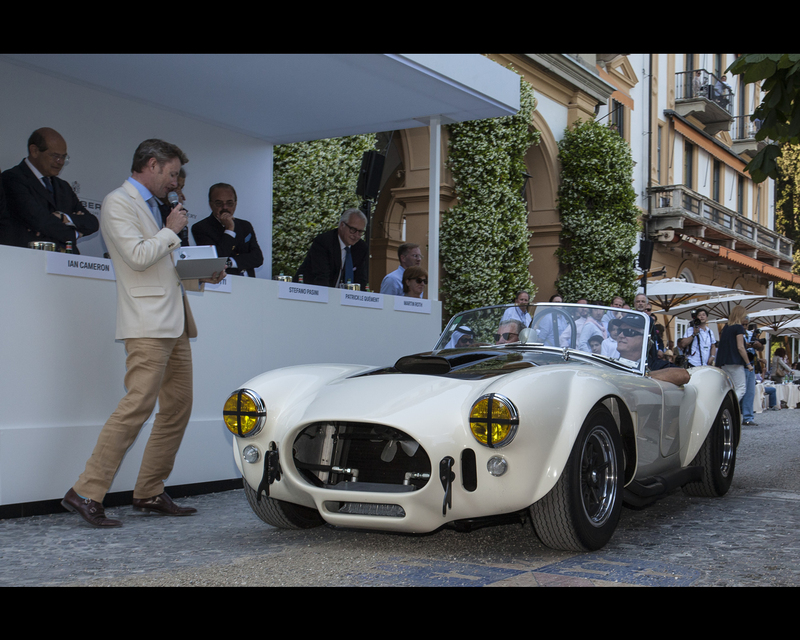 The Shelby American Cobra 427 competed in races at Goodwood, Zeltweg and in Italy, and there was even a victory with David Piper and Bob Bondurant at Brands Hatch. Chris Irwin competed in the British Eagle Trophy in 1966 and in 1967 David Hobbs lined up on the starting grid at Silverstone. In 1985, the high-powered racing car returned to the USA where by 2002 it had been converted back to left-hand drive and competed in races for historic cars. The Shelby American Cobra 427 was restored by its present owner at Legendary Motors in Canada and has now retruend to Muncie, Indiana where its journey first began. 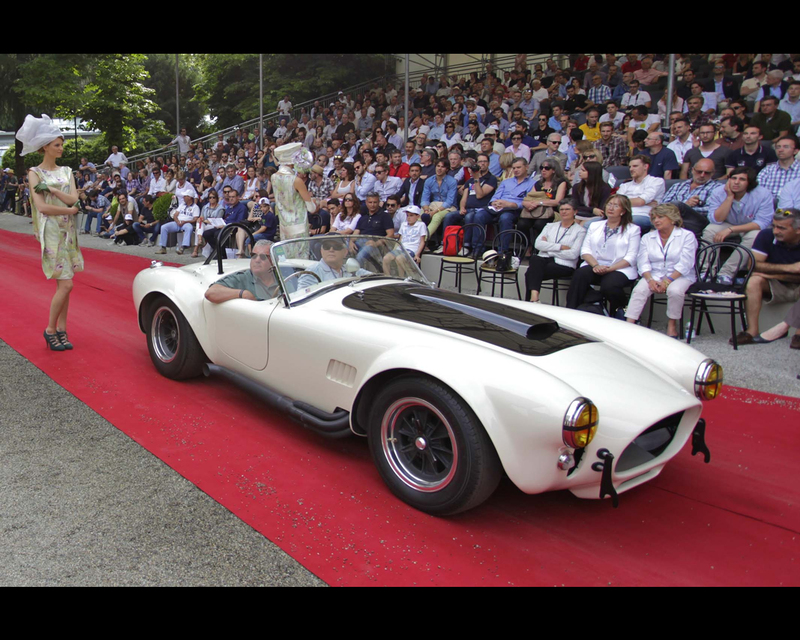 The Shelby American Cobra 427 was entered by Gary Bartlett (US) at the 2014 Concorso d'Eleganza in Villa d'Este where it collected the Trofeo Vranken Pommery for the best iconic car by the Jury.